Net Promoter Score – What is it and Why Does it Matter For My Business? A Net Promoter Score (NPS) is a metric used to gauge customer loyalty. It is calculated by subtracting the percentage of detractors from the percentage of promoters of your business. It’s that simple. But what does it mean? This one figure can hold a lot of meaning for your business. Read below for advice on interpreting your NPS as well as how to interpret other key CX metrics. That’s the philosophy of Tekserve, an Apple retailer and IT services provider in New York City, as articulated by Director of Marketing Jazmin Hupp. Imagine that you are a long-time Apple retailer and supplier, and then Apple builds their flagship store just two miles from you, then four more just as close. Some might find it time to close up shop. Instead, Tekserve used the challenge as an opportunity to refocus on their customers. Their reward? Consistent growth, being featured in the Crain’s New York Business Fast 50 and the Computer Reseller News’ 2012 Solution Provider 500 list, which ranks the top technology integrators in North America. Tekserve doubled-down on the service surrounding Apple’s products, particularly for businesses. Almost 2/3 of their revenue comes from B2B relationships, where they are far nimbler than Apple. Much of their work involves integrating Apple products into existing networks, including wholesale conversions from PCs to Macs. A customer-inspired experience is critical to growth. According to a Temkin Group analysis, a great customer experience increases likelihood to recommend by 19.5% and likelihood to repurchase by 18.4%. And the best way to get that inspiration is through those who talk to customers every day – your front-line employees. In this piece you will receive the first key of creating a great customer-inspired experience. Keys two and three will follow soon! This seems like a no-brainer. Companies know what matters to their customers, right? In fact, many have it wrong. Leaders get so focused on their tangible capabilities that they no longer see through their customers’ eyes, and use their over-informed perspective to prioritize efforts. As a good example, I worked with a global fast food company to determine the best way to increase growth. This company was laser-focused on R&D – inventing the newest menu item to drive that bump in sales. They applied a very rational lens to their customer experience – if we provide good food fast and keep coming up with new items, we’ll grow. This approach is so alluring that it is no surprise they succumbed to it. And sure enough, the company was rewarded with a spike in sales every time they came out with a new food item. So, like most companies focusing on next quarter’s results, they kept feeding the R&D beast. But despite these sales spikes, their same-restaurant sales continued to drop each year. “Coffee houses are about neigh­bor­hoods,” Dunn Bros Coffee co-CEO Chris Eilers tells me while we drink light roasts and blues music plays overhead. Dunn Brothers is a popular Midwestern coffee chain with most of its locations in the Twin Cities. The company was started by Ed Dunn and now boasts 83 locations. Whereas Starbucks and Caribou (another Minnesota-grown coffee shop) have primarily corporate-owned locations, Dunn Bros focuses on attracting franchisees, who typically run and work at only one location. This interview discusses the Dunn Bros Coffee history, how they use their franchisees to develop their unique customer experience, and how the company uses market research and social networking to learn more about their customers. It concludes with an analysis on how they do in creating a customer-inspired experience, as measured through the Heart of the Customer model. Read the interview in Dunn_Bros-the_Non-Chain_Chain-White_Paper. Never ask a question when a query will do. I was offended at the remark, but held my tongue. What I wanted to say was “They’re not in the business of doing accounting, either. Do you suggest they do a similar half-a** job of that, too?” I simply could not believe he argued for such a deliberately casual and careless approach towards a customer-facing effort. Unfortunately, he is not alone in this disregard towards interrupting customers. Why else do we find so many terrible surveys? He is casually regarding two pillars that I hold dear: My customers and my brand. How you treat the first directly impacts how they see the second. But apparently this viewpoint is unique. Typical Customer Experience Measurement Programs treat all customers as one homogenous group, rather than as unique segments. These programs need to analyze customers based on their value to the organization and analyze what drives the behavior of each segment. 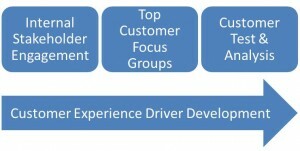 This white paper lays out a process for developing and analyzing these Customer Experience Drivers. Come to your restaurant every week, whereas others only when they have a coupon? Call you first for consulting help, while others make you bid for the lowest price? Require constant hand-holding, compared to others who are very inexpensive to maintain? And how do you find more customers like the first group? Simply said, some customers are engaged with your company, love your products and services, and trust you. These customers tend to be your most loyal and profitable. Others buy from you because you are convenient or have a good price. These are often expensive to serve and contribute less to you business’ bottom line. You need to learn what drives the former, to find more like them. This is true for both B2B and B2C companies. In fact, because the order sizes are typically much larger, this is even more critical for B2B companies. Without this understanding, product development and marketing become a best-guess effort. Driver Analysis is the process used to determine what motivates your best customers. It extends your current NPS, Satisfaction, or Engagement studies to discover and measure these underlying motivations. Driver Analysis is the practice of including motivations in your Customer Experience Measurement Program, then correlating these motivations with your customers’ Lifetime Value. This process separates those who purchase based on convenience or price from those truly profitable customers who view you differently, and then shows the motivations of each group. For example, quick service restaurant customers selected the chain they visited the most. Within a restaurant’s most-frequent visitors, those who were “engaged” spent $8 a month more here than the average. What drove this engagement was not “the Quality of Food,” or “Speed of Service.” Instead, it was “the Warmth of the Greeting.” Similarly, Gallup found that B2B customers who rated their partners high on “Impacts my business” are stickier – they remain customers longer, and are more profitable. The specific drivers vary by company – even within an industry – but are critical to understand how to motivate customers to spend more with you. Another reason to use drivers is to target efforts in your different delivery segments. Using the restaurant example above, imagine the situation where a general manager is told her store NPS or satisfaction score is low. While this is important to know, it does not tell her how to improve these scores. Drivers provide insight on where action is needed. Similarly, drivers help B2B account teams know where to focus. Satisfaction or NPS helps evaluate the state of the relationship – drivers identify how to improve it. So, how do you discover these drivers? See Figure 1 for an overview. The process starts with your staff, and then expands to your customers. This post continues in: Drivers – the Secret to a Great Customer Experience White Paper. 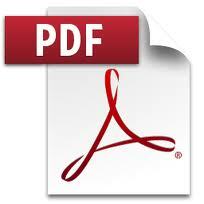 Please download it to learn the entire end-to-end process! Segmentation is a critical tool in developing products and marketing offers. Companies routinely separate customers into segments to understand and satisfy their unique needs. So why is segmentation so rarely used when measuring the customer experience? Demographic. Best Buy built customer segments such as Jill (the Soccer Mom) or Buzz (the young tech enthusiast), creating successful store offerings around each. Behavioral. Health insurance companies build segmentation schemes around consumer behavior and demographics such as Young and Healthy or Chronics. Psychographic. Can be based on lifestyle, opinions, hobbies, or similar items. Grocery stores use segments such as the Indulgent Shopper and the Convenience Shopper. Geographic. Suburban, rural, and urban are common B2C segments. Industry. Most B2B companies include at least some segmentation around industry. When conducting a Customer Experience Measurement survey (whether Satisfaction, Net Promoter Score or Engagement), most programs combine all respondents into a consolidated set of results, combining customer segments into a watered-down whole. There are clear logistical reasons to do this – it is easier and cheaper to build one set of results than 3-7. But what is the impact? >>> Read more in the attached white paper: Measuring the Segmented Customer Experience. NPS – opinions vary as to whether it’s the “best” way of measuring your customer engagement. The problem is that the industry is looking for a measurement that works for any industry or company. And such a tool does not exist. Nevertheless, NPS is a good measurement, and Reichheld lays out how to be successful with the program. The important thing that the author notes is that NPS does not stand for Net Promoter Score, but Net Promoter System. And it’s this System that is critical. In fact, if you replaced the measurement with Satisfaction, Engagement, Ownership, or your favorite home-brewed system, your business will still see significant growth if you apply the disciplines he outlines in his book. A good book to get you started with NPS or any system. Highly recommended.